The ICIP 2018 Innovation Program will bring leading industry technologists to speak in two sessions. The first session will honor recipients of ICIP Visual Innovation Awards. The second session will feature speakers who are developing promising emerging technologies in industry. First awarded at ICIP 2016, the ICIP Visual Innovation Awards are awarded to individuals and teams whose visual technology innovations has had a significant impact on products in industry. Award recipients are selected by the Innovation Program committee, and announced in advance. During the Visual Innovation Awards session, award recipients will speak about the technological challenges they faced when developing their award winning products and describe remaining technology challenges. Sandor oversees all efforts related to GoPro technology including GoPro’s hardware and software engineering teams – who are responsible for making GoPro’s world-class products. Prior to GoPro, Barna served in senior leadership roles at Aptina Imaging, Micron Technology’s Image Sensor Group, and Photobit Corporation. Dr. Barna holds a Ph.D. and an MA in Physics from Princeton University, and a BS in Physics from Yale University. Since releasing its first HD camera in 2009, GoPro has grown into an international company that has sold over 30 million cameras in more than 100 countries. The company has continuously pushed the limits with its HERO line of cameras with ground-breaking features like 4K60 video recording, Electronic Image Stabilization, and QuikStories. This presentation–led by GoPro CTO Sandor Barna–will discuss the innovations that occurred at GoPro to make its HERO cameras possible, and the technical challenges looking forward as the company continues to push the boundaries of innovation in digital imaging. In particular, the presentation will focus on increasing in-camera intelligence to better enable video production. 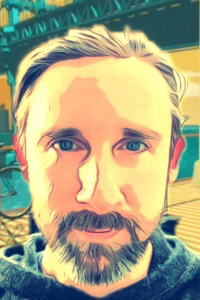 David has spent his last eleven years working on improving the video calling and conferencing experience, for good and bad networks, and on desktop and mobile devices. David received his Ph.D. in electrical engineering from KTH (Royal Institute of Technology) in Stockholm in 2007. As an iconic brand and a verb, Skype has changed the world of communication and has been synonymous with connection and togetherness for over 15 years. Since joining the Microsoft family, Skype has become the "dial tone" for achievers for work and life, both as standalone experience as well as embedded in the wide portfolio of Microsoft products. During our pursuit of best real-time audio and video communication experience, we have been facing challenges to optimize for the diversity of PCs and mobile devices, operating systems, networks and user expectations. In this short talk, I will share some learnings from this journey, as well as highlight some exciting advances in multimedia technology. In the Industry Emerging Technologies session, leading technologists from industry working on promising emerging topics will speak about their projects and will share their vision of innovative visual technology products. The 2018 speakers are: Christian Timmerer (Bitmovin), Hong Jiang (Intel), Ilya Brailovskiy (Amazon Lab126), and Nick Mitchell (Technicolor). Real-time multimedia information and entertainment services – specifically, streaming of digital video and audio content – account for the majority of today’s traffic in the Internet, and their amount and share of traffic are still growing. Users expect to generate, distribute, share, and consume any media content, anywhere, anytime, on any device, in high quality. For real-time media transmission over the open Internet, a major technical milestone certainly was the advent of the HTTP Adaptive Streaming (HAS) technique, resulting in standards like DASH, HLS, and CMAF. In terms of video coding, we are faced with a plethora of existing/deployed video coding formats already (i.e., AVC, HEVC, VP9, AV1) and even more are coming (i.e., VVC, maybe AV2) which results in a multi-codec HAS issue to be solved in the near future. This calls for a framework to enable optimal usage of multiple codecs within HAS deployments depending on the context conditions including encoding complexity, bandwidth constraints, decoding capabilities, and deployment costs. In this talk we will review state-of-the-art in video coding for large-scale HAS deployments as well as challenges ahead. 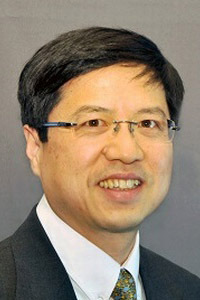 Previously Jiang was the chief media architect for the Platform Engineering Group and director of the Visual and Parallel Computing Group’s Media Architecture. He led the media architecture of processor graphics and its derivatives, including the definition of media hardware and software assets and the group’s technology roadmap. Jiang held this position since 2002 and earned recognition for co-inventing the programmable Intel graphics architecture that has powered all Intel client PCs since 2006. 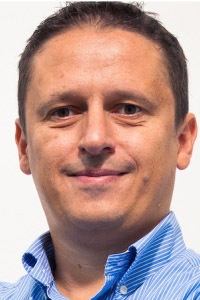 Since joining Intel in 1996 in the graphics operation PCI Component Division as a platform architect he contributed to and co-edited key interconnect and video-coding standards. As a video architect, Jiang led video decoder and video capture hardware and software definition and implementation for chipset graphics products. 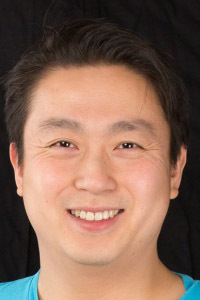 Hong Jiang was named Fellow of the Institute of Electrical and Electronics Engineers (IEEE) in 2015 for leadership in parallel multimedia computing architectures and systems. He earned a Ph.D. degree in ECE from University of Illinois at Urbana-Champaign. While at Lab126, Ilya took part in launching several Amazon camera products including Echo Look, Echo Show and Amazon Cloud Cam. 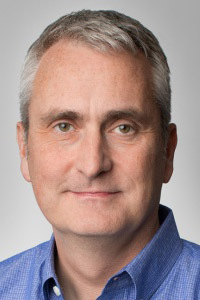 Before joining Amazon Mr. Brailovskiy worked at Intel at various leadership roles with Graphics Media, Media and Display Platforms and Integrated Performance Primitives(IPP) teams. Ilya Brailovskiy holds PhD in Applied Mathematics, authored more than 15 published papers and more than 50 issued or pending patents. 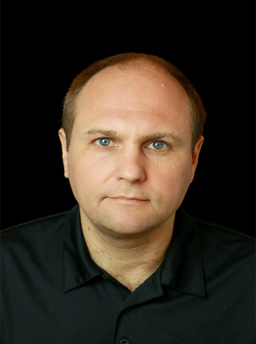 Mr Brailovskiy is Amazon technical representative to Alliance for Open Media and co-chair for AV1 testing group. When not at work, you could spot Ilya on hiking trails in SF Bay Area and vicinities. Imaging Domains Fusion: a myth or reality? In the past, imagers, sensors, video compression and delivery as well as computer vision subsystems were designed in isolation and meant to work as independent modules. In recent years, modern ASICs started combing multiple modalities within single chip and we often hearing technology “fusion” language in the context of consumer mobile products. On the other hand, IoT paradigm opens new horizons for distributed swarm computing which, in turn, requires even more boundaries between image processing compute blocks. In this talk we would like to follow the technology trends that are driving “fusion” and “separation” of different technologies in context of CV centric products. We will discuss how CV and Video Compression influenced by Sensors, Cameras and Video Streaming, and will look deep into which aspects of end-to-end systems architecture are playing critical role for implementation decisions. Nick’s an innovative media technologist with a passion for enabling creativity and producing next-level experiences. Until a year or 2 ago, he spent 20 years developing digital cinema technologies and services, building world-class facilities and workflows for theatrical content mastering and distribution at Technicolor and Deluxe Technicolor Digital Cinema. In November of 2016, Nick set out on a new journey, rejoining Technicolor as the Vice President of Immersive Technology at the all new Technicolor Experience Center in Culver City. The TEC supports and showcases the company’s exploration and development of new and emerging production technologies and services. Part incubator, part showroom, part experimental virtual production stage. Using the latest and greatest motion virtual, augmented and mixed reality (XR) devices, the TEC aims to find new and adjacent industry opportunities where Technicolor and its brands and partners can bring the value of their technical and creative offerings to new verticals and areas of industry. Have you envisioned a world where virtual and augmented reality enable a Minority Report-like existence? Where all the powers of the world’s computing resources are exposed through cutting-edge, naturally intuitive interfaces? A world where we are allowed to seamlessly experience information from a myriad of sources around the world, whenever and wherever we are and with an ability to share those experiences with anyone we choose? In this session I will share some of my experiences over the last two years working for Technicolor, an established entertainment technology service provider whose collective businesses have produced more than 75 VR/AR experiences. I will touch on what we feel are some of XR’s big wins and then dive in to the broader challenges that lie ahead, and the research and solutions needed to overcome these hurdles.